For many Illinois families, early summer is prime moving time. That way, the family has about a month to settle in before school starts. Such moves are still quite common. Although the moving rate has declined slightly since the 1990s, most people still relocate about eleven times in their adult lifetimes. To save money, many people turn to do-it-yourself moves. 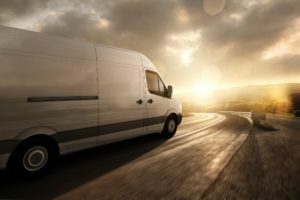 When these individuals try to navigate a large Ryder, U-Haul, or other truck down unfamiliar streets and highways, serious crashes are rather common. That’s especially true in mid-sized communities like Rockford. Under traditional negligence rules, like the negligent entrustment doctrine, the vehicle owners, and not the vehicle lessees, are responsible for damages in these cases. But because of the Graves Amendment, the traditional rules do not always apply. Yet 49 U.S.C. 30106 is not the blanket grant of immunity that it purports to be. There is almost no legislative history behind the Graves Amendment, which was an add-on to the sprawling 2005 Federal Transportation Equity Act. Lawmakers conducted no hearings on the matter and only debated it for a few minutes on the floor of the House of Representatives. Missouri Democrat Sam Graves, who has since expressed some misgivings about the bill that bears his name, said that he wanted to protect small vehicle rental businesses from large liability judgements. A few years earlier, one national chain threatened to cease operations in several states after a Connecticut jury ordered the chain to pay several million dollars following a fatal fireball collision. The Graves Amendment itself is very short. Its two primary subparts contain many holes. Experienced attorneys know how to manipulate these openings and uphold their clients’ best interests. According to subsection (a), owners of rented vehicles are not responsible for crashes that the lessees cause if these owners are “engaged in the trade or business of renting or leasing motor vehicles.” The brief Graves Amendment does not define this key phrase. So, Illinois law requires attorneys to use the ordinary meaning. Industry standard is a key concept in this area. In 2005, there was no cost-effective way to perform drivers’ license checks. But that technology exists now. So, agents and employees arguably have a duty to perform such checks to ensure that they are not renting dangerous vehicles to unqualified drivers. As a rule of thumb, if the customer has a suspended license, the person is usually unqualified. If the customer has a poor driving record, such a background is evidence of negligence. The Graves Amendment makes it harder, but not impossible, to obtain compensation in commercial negligent entrustment cases. For a free consultation with an experienced auto accident lawyer in Rockford, contact Fisk & Monteleone, Ltd. We do not charge upfront legal fees in these matters.